EMI option is also available. Please click here to read the complete terms & conditions of additional vouchers. Additional vouchers will be valid on Paytm/ Paytm Mall app only. 2. Valid at Kanha computech. 4. No Credit note / Refund for the unused amount of the Deal voucher will be given. 5.Deal voucher CANNOT be revalidated once expired. 6. Merchant reserves its right to add, alter, modify, change or vary any of the terms and conditions at any point of time without assigning any reason or any intimation whatsoever. 7. According to RBI's new guideline, users who have not undergone Paytm KYC will not receive cashback in their wallets. Visit the store to redeem the offer. Mention your deal name and share the code you have received from Paytm with the cashier at the time of payment. 1. Customer will be eligible for additional 5% cashback from ICICI Bank on eligible product purchased using ICICI Bank Credit Card. 2. Offer is valid once per ICICI Credit Card. 3. 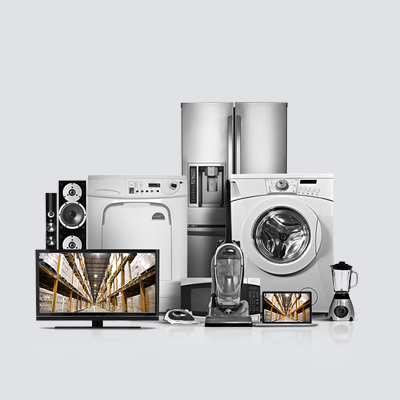 Offer is Valid on selected products in TVs, Air Conditioner, Appliances, Laptops and Mobiles Category. 4. Offer is not valid on Samsung brand in Mobiles Category. 5. Maximum additional cashback availed per customer will be Rs 2000 during the offer period (8th April 2019 to 31st May 2019). 6. Minimum order value should be equal to or more than Rs.15000 (Minimum spend on ICICI Credit card of Rs.15000) to qualify for additional cashback of 5% ( Maximum of Rs. 2000/customer). 7. This offer is valid on Credit cards EMI schemes as well. 8. Additional 5% Cashback ( Maximum of Rs. 2000/customer) will be credited in customers' ICICI Bank Credit Card on or before 31st August 2019. 9. This offer is not valid on Credit Cards issued by ICICI Bank but powered by American Express. Also, the offer is not valid on corporate, commercial cards issued by the Bank.